Security monitoring companies face intense pressure to keep their systems running optimally around the clock. 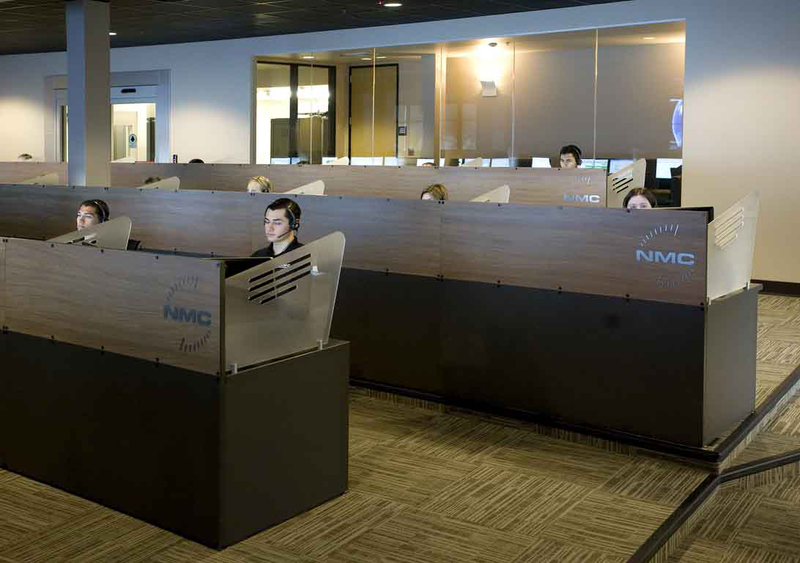 The National Monitoring Center, an industry leader in commercial/residential security and monitoring, has long relied on the smooth flow of images and information to serve the critical needs of its Clients. 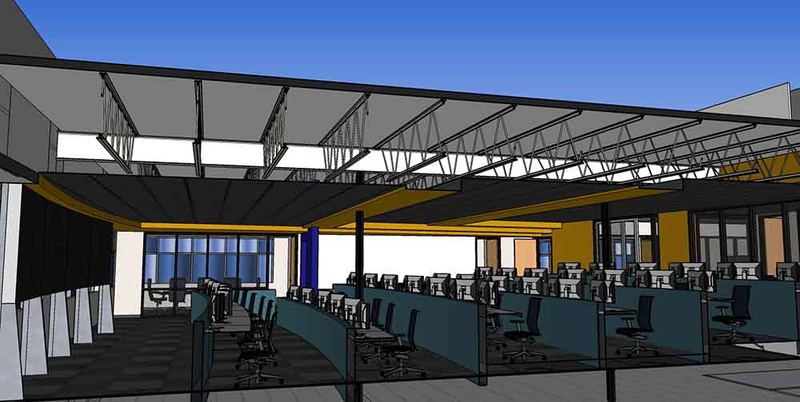 With an eye toward the future, the NMC decided it was time to build a new Network Operations Center that would elevate communication within the growing company. The National Monitoring Center needed to build a central command facility that could ably handle the company’s rapid expansion. 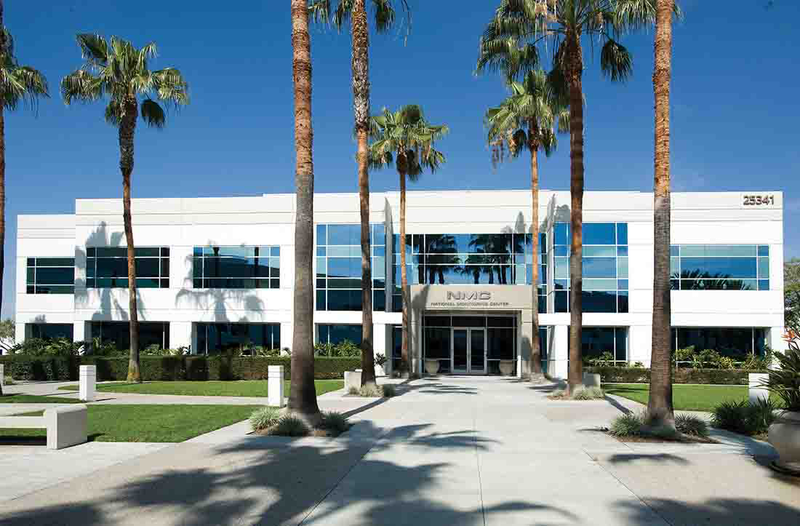 Already occupying an 8,000 square foot facility in Texas, NMC leaders aimed high in designing its new 25,000 square foot headquarters in Lake Forest, CA. 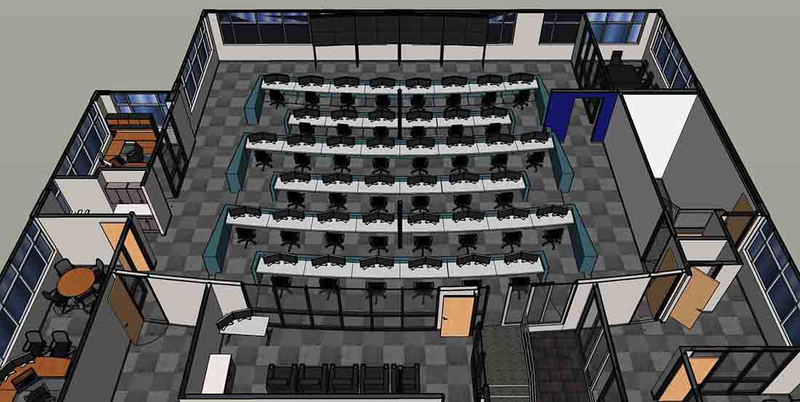 Cibola’s primary task was to create a video wall for the Network Operations Center that would give end-users a clear view of critical information. The ultimate goal was to enhance communication and collaboration between team members, and ultimately improve response times in emergency situations. Cibola’s design and engineering teams proposed a “Hiperwall” solution. Hiperwall is a distributed computing platform that allows for highly scalable video wall installations. It is ideal for displaying exceptionally high-definition images and video in multiple configurations. Because each display has its own computer dedicated to generating images, there is virtually no limit to the resolution that can be achieved. Cibola designed a Hiperwall display for NMC consisting of twelve 55” narrow bezel LCD screens arranged in a 2 x 6 video wall format. The Hiperwall installation delivered eye-popping results. When viewed as one display, the 12 monitors that make up the NMC Hiperwall deliver an effective resolution of 6480 x 3840, or roughly 24 million pixels overall! This gives the NMC tremendous flexibility when displaying important information and images to team members. The fine detail allows for significantly more content to be displayed on the screen, with no eye strain required from anywhere in the room. Numerous input options also make it easy to display multiple content simultaneously from multiple sources. By leveraging visual technology to improve the quality and flow of information between team members, the National Monitoring Center is also displaying a strong commitment to its Clients. Key Element: A 24-million pixel Hiperwall display consisting of twelve 55” narrow bezel LCD screens arranged in a 2 x 6 video wall format.